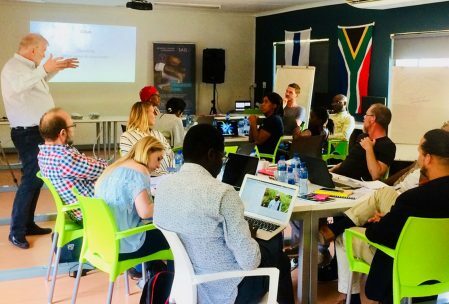 Loughborough University London in December 2018, in Pretoria, South Africa, delivered a Training Programme within SAIS 2 (Southern Africa Innovation Support) with the mission to catalyse new businesses and foster the culture of local and regional entrepreneurship. 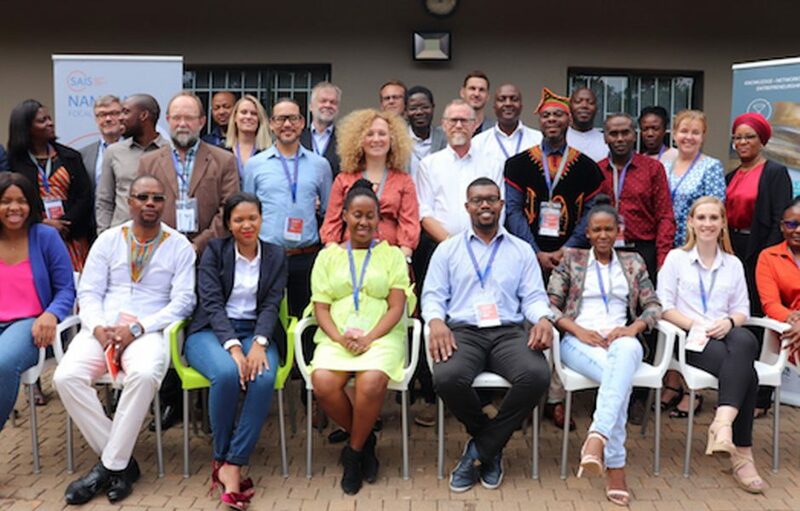 The team, led by Professor Mikko Koria, Director of the Institute for Design Innovation and Associate Dean for Enterprise at Loughborough University London, together with colleagues Dr Ida Telalbasic (Institute for Design Innovation) and Dr Roy Meriton (Institute for Entrepreneurship and Innovation) and colleagues from other UK Universities include Dr Seun Kolade, and Dr Karim Ahmed, who have developed a toolkit to serve as the basis for evaluating impact. 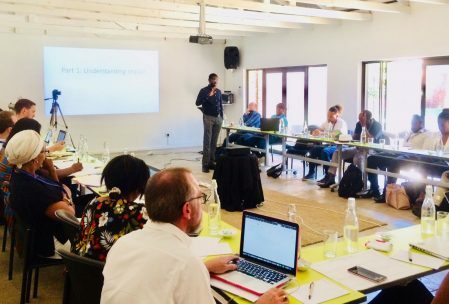 The Data Collection & Analytics Framework was delivered across five days to 12 participating project coordinators, who will transfer the gained knowledge to their project partners in their local communities, i.e. in the five participating countries: Botswana, Namibia, South Africa, Tanzania, and Zambia. 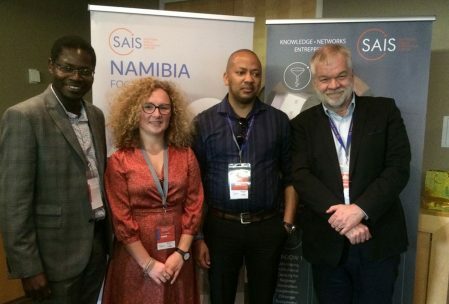 Further steps and collaboration between SAIS and Loughborough University London include a follow up on the 12 projects that participated in the training through supporting SAIS in developing the evidence base for building impact case studies.